Speaking to Tribune de Genève, Serge Dal Busco, Geneva’s minister of finance, voiced his concerns about last Sunday’s rejection of Switzerland’s planned company tax reform. At the same time he remains optimistic about the chances of a new federal corporate tax reform project. His biggest concern is that Bern might backtrack on its promise to help the cantons replace the lost tax revenue created by lowering standard tax rates. Switzerland’s federal government promised around CHF 1.2 billion to the cantons and communes, had the vote been accepted. 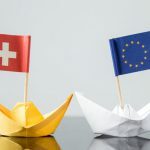 The cantons of Geneva and Vaud have the most to lose if the country fails to come up with a replacement for the special deals enjoyed by foreign holding companies. Between 2009 and 2011, 36.4% of federal tax collected from such companies came from companies based in these two cantons. Across all of Switzerland these companies paid close to half of all federal company tax. Losing them would be a financial blow. In Geneva, an estimated 61,000 jobs are related directly or indirectly to these foreign holding companies, according to those supporting the rejected reform. In Vaud these companies generate around 25,000 jobs directly and indirectly. Many of those who voted against the reform were focused on the tax revenue that would be lost from a lowering of standard tax rates, and the burden this would place on the middle class. 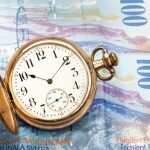 Those supporting the reform were focused on the loss of tax revenue from companies leaving Switzerland. The special tax rules apply only to companies which own the shares of other companies and carry on little or no commercial activity in Switzerland. Their revenues are principally dividends, and the tax they pay is based on their capital rather than the profits they generate. At a federal level they are taxed normally. 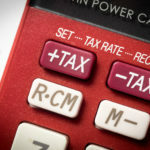 Geneva and Vaud have Switzerland’s highest standard company tax rates, so the incentive for foreign companies to leave these cantons, should they be required to pay the current standard tax rate, is higher. In Vaud last weekend, 51.3% of voters voted for the reform. In Geneva the vote was close with 47.7% voting in favour of it. These close results give Geneva’s minister of finance hope. Busco said that the situation for special status companies remains unchanged for the time being. In his view, the real danger is brought by uncertainty. He thinks the best scenario would be if Switzerland very quickly and clearly signaled that there will be a new federal project.